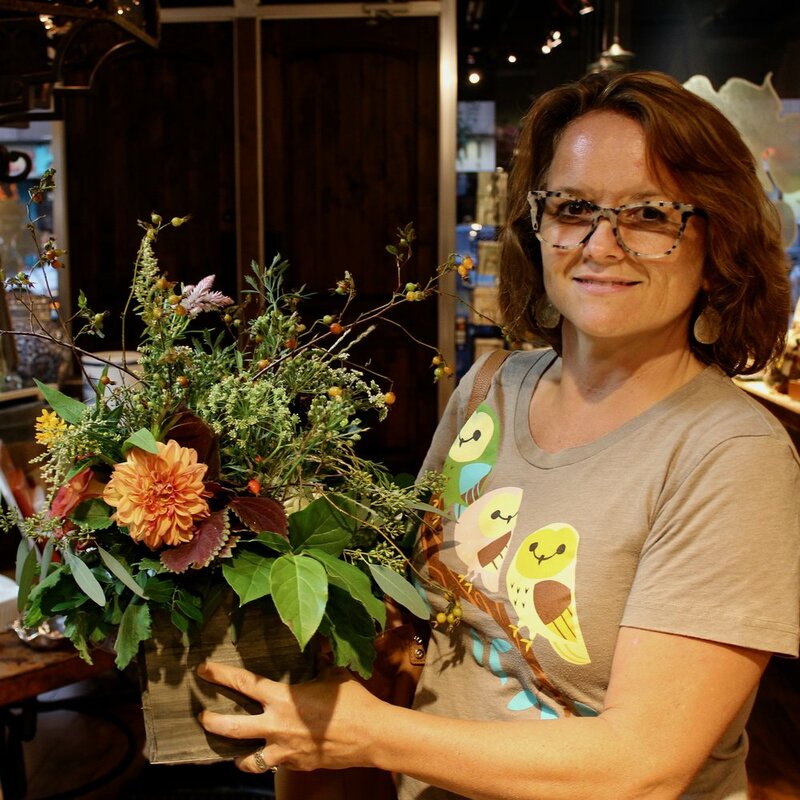 Join us for upcoming Fall & Winter Floral Workshops at The Fig Leaf! Every workshop is different and will have a unique seasonal, texture, and color theme. Participants will take home a stunning arrangement with the knowledge of how to make delicate blooms last. Come ready to have a great time and create beautiful floral designs using nature's bounty! Create a floral arrangement enhanced by the textures of the season with Kristen Sekowski of Yellow Canary. Join us at The Fig Leaf in Hyde Park for this hands on workshop November 15th from 6:30pm -7:30pm. 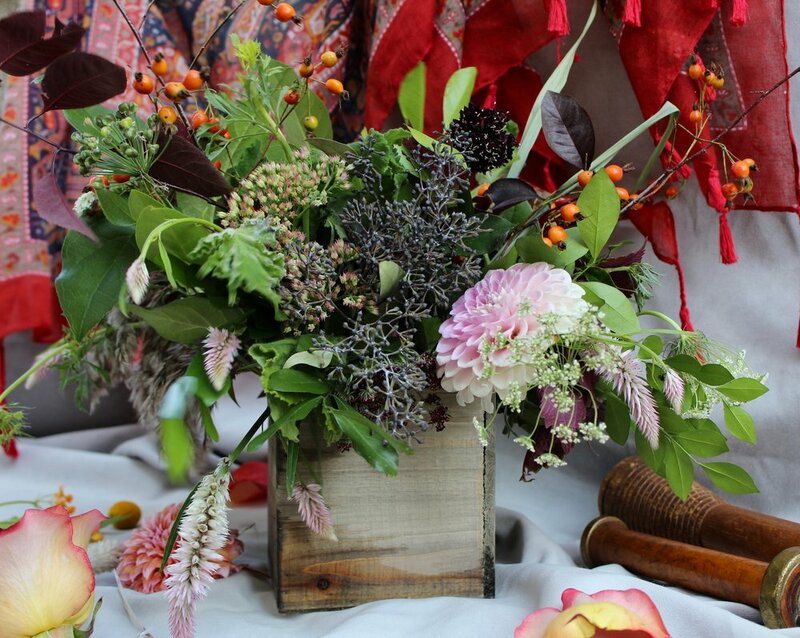 Create and take home a beautifully textured arrangement using interesting fall and winter foliage and florals . We’ll work with seasonal and foraged blooms to a create a unique, beautiful arrangement that you can recreate for all your holiday parties! You’ll learn to correctly handle and care for cut flowers, proper use of floral tools, and how to condition blooms for longevity.